2 Piece Waist Bead Set. This Waist Bead Set is handcrafted with high quality Czech glass seed beads on a durable beading wire with a lobster claw clasp. Match your bathing suits, crop tops, beachwear. **No two are made exactly alike just similar in style. Waist beads are an ancient traditional body jewelry and a practice of adornment. Worn regularly they become an extension of yourself, a secret, seen only by you and the lover(s) you choose. 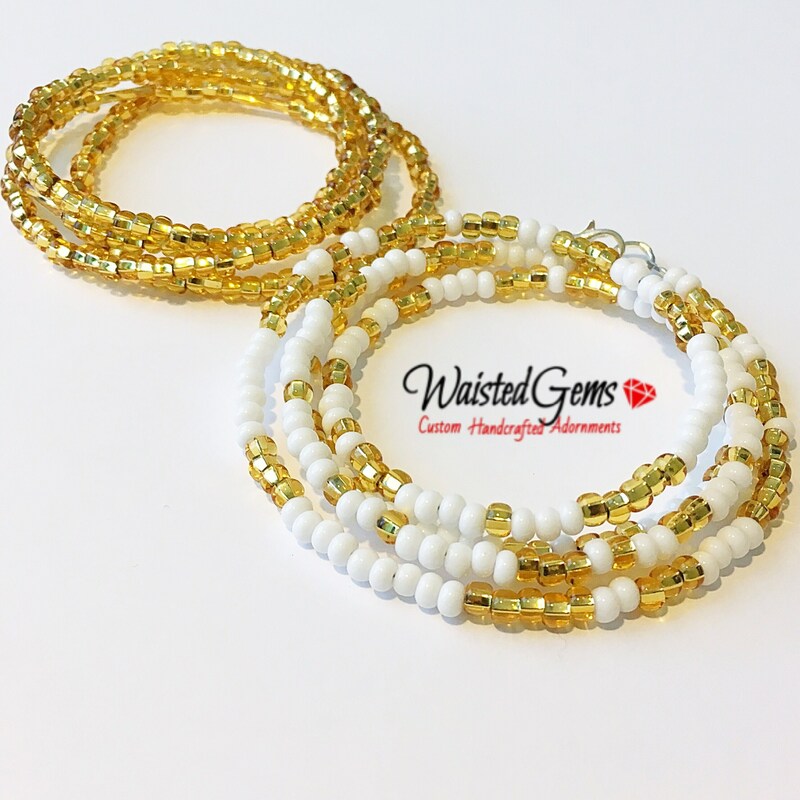 Waist beads are worn by females of all ages from children to grandmothers and by all size women. They are given as gifts for initiations, rites of passage, to women about to marry, to pregnant women for protection and health, and to young girls to welcome them as members of the female group. ; and are typically worn against the skin, underneath clothing, and below the belly button. This ancient adornment practice is a great way to celebrate your femininity, milestones, and enhance personal transformation, and affirm creativity and sexuality. 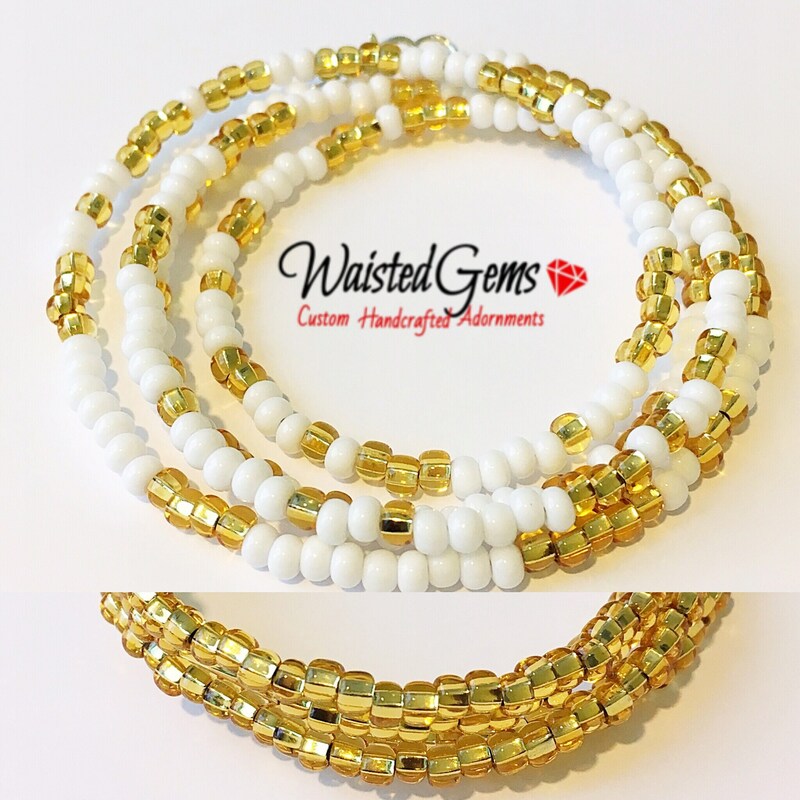 I enjoy making waist beads in all different colors, styles, sizes; there's something for every woman here. All of the beads I use are glass, stone, wood, metal, and semi-precious stone beads and charms. Feel free to request a custom order if you don't find what you're looking for, I'd be more than happy to create a piece based on your ideas solely for you. You are not limited to the amount that you can wear, its all up to you so, INDULGE YOUR WAIST TODAY! * Custom waist bead orders for color options, stones, and sizes and pricing. * Our items are currently being sold in boutiques and salons in three states SC, GA, NJ contact us to see if we are in your area for immediate gratification. * You can also book Waist Gems for waist bead making workshops. 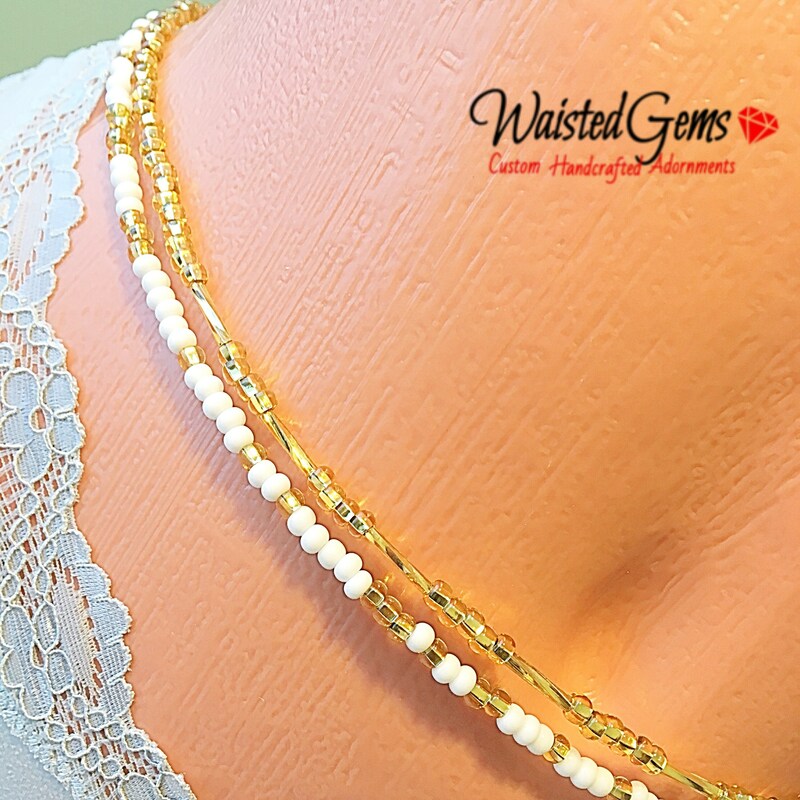 Waist beads are a fun addition for bridal showers, birthday parties, and bachelorette parties. * Wholesale Orders: If you are interested in carrying our product in your establishment please contact me for wholesale pricing. * Tell us about your cause and we would love the opportunity to make your custom items to represent and support your cause! Next day shipping is avail for this item.